Extra-depth shoes with layered removable insoles, made of genuine leathers, extra toe room and orthopedic support. Oxford Brown or Black are Moc Toe lace-up shoes. It's a sneaker in disguise. Sizes 7-14 (M) (W) (XW). 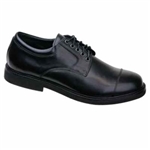 LT600M/LT610M Men's Cap Toe Oxford shoes are part of the Lexington series shoes from Apex. 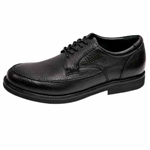 Apex Lexington Oxford Brown or Black are Cap Toe lace-up shoes. It's a sneaker in disguise. Sizes 7-14 (M) (W) (XW). Men's Casual and Dress Therapeutic Shoes at PHC. Descriptions of some of the most common foot conditions where prevalence of Diabetic Neuropathy varies from 5 to 100% of the Diabetic population.